As we come to the end of another year we wish you all a safe and happy holiday season. Once again we would like to thank you for your support throughout this past year. It has been a ride and we've enjoyed every minute, every song we've sang, every note played, every mile traveled, every bit of applause you have given us, each CD that has been purchased, every new friend made and on and on. 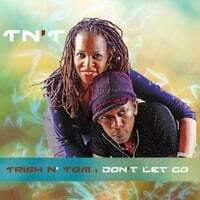 We hope that you will continue to ride with TN'T(Trish N' Tom) in 2010. We're recording more "Good Music" to be released in the coming year and we plan to add more live dates. Yes ... we are available for bookings. So if you need us ... Holla. Hopefully we'll see you at one of our shows. Oh and by the way ... Our CDs make wonderful inexpensive Christmas and Holiday gifts (hint). This is why we're offering both of our CDs "Something Good" and "Sweet Like Honey at a special 20% off Holiday discount. Remember, good music last forever. well and may you prosper in all aspects of your life in the coming year. Don't forget, we love it when you holla back.